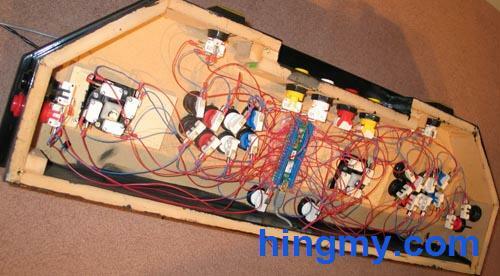 Wiring the buttons is a tedious, but straight forward affair. The center piece of the control panel is a controller board. This board is the interface between the computer and the buttons. There are several types of boards (joystick, keyboard, custom), each with its own way of interfacing with the computer. 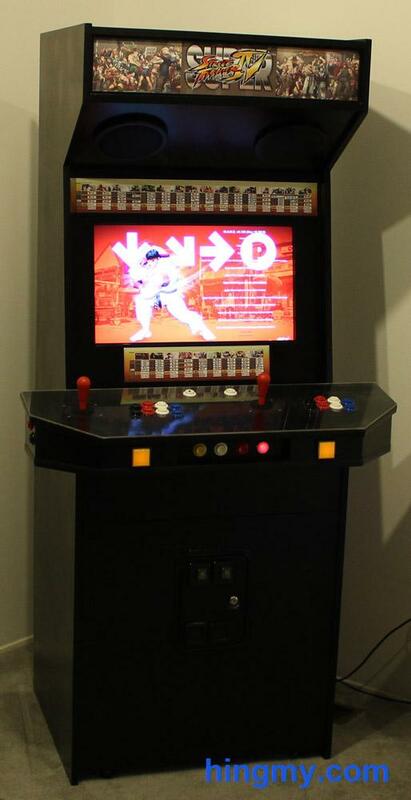 All types are readily available at arcade stores. It does not really matter which type of controller you choose. The only thing that changes is the way the software is installed. The wiring remains the same. The board will either have a USB or PS2 connector. Both work fine, if your computer has the required ports. These days USB is the more widely available format and the better choice. This option defines how the signal is encoded and presented to the OS. Keyboard style boards will appear to the OS like a keyboard. When the board sends a signal it is as if a key was pressed on a keyboard. You can still have a keyboard attached at the same time. The OS does not care how many there are. It only cares about buttons being pressed. The second style is device style. The board appears to the OS like a generic gaming device. The OS routes these singles differently. In windows, for example, the board will have to be configured in the games explorer. Which type is better? In Mame both styles are equivalent. Mame has full support for all types of game devices or keyboards. 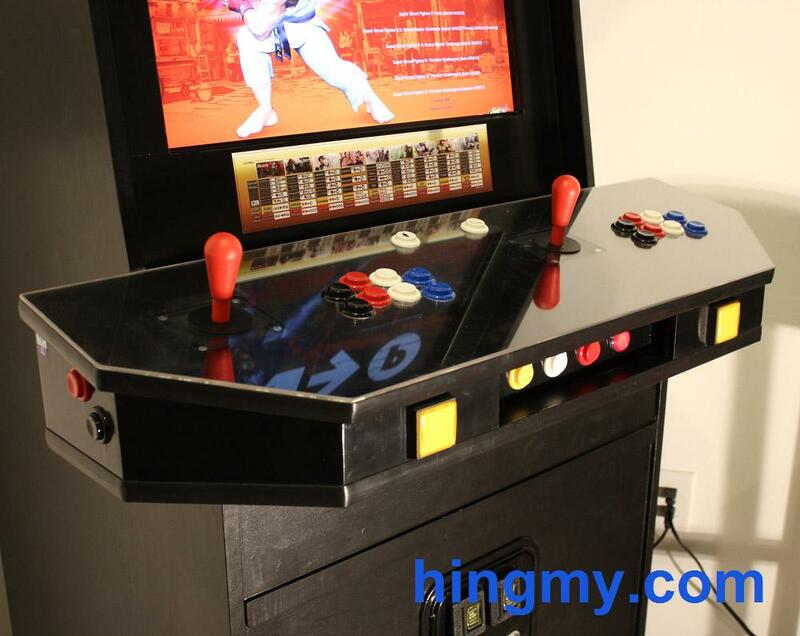 You can map any single for both types of boards to any action in Mame. PC games are a different matter. Some view a game device as a single user input device no matter how many buttons it has. In run Street Fighter IV on my arcade machine in PC mode (no Mame). It recognizes my device just fine for player 1, but does not allow player 2 to join since there is only a single device. So far I have not found a way around this. SF IV would work fine with a keyboard style controller, since the game thinks about the keyboard as a single device. For this reason I have a slight preference toward keyboard style controllers. Both are functionally equivalent and should work just fine. I used the KeyWiz and highly recommend it. All controllers have a common ground and a terminal for each input. Each button must be connected to one of the switch terminals and the ground terminal. The switch connection must be done directly from the button to the terminal. The ground connection can be shared between buttons. You can daisy chain the ground connection of several or all buttons. I recommend using a different color wire for the ground connection and the switch connection. 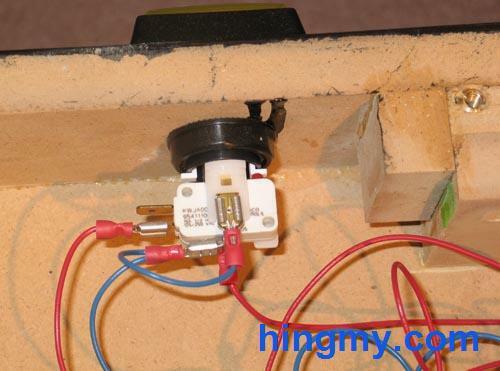 This makes it easier to troubleshoot your wiring job. In some cases the controller also has a 5V terminal. As the name suggest this connection supplies 5V power. Use this terminal to provide power the lights of illuminated buttons. In addition to the controls you might want to connect a button to the power switch of your computer, the reset switch, or some other switches. The principle is the same. 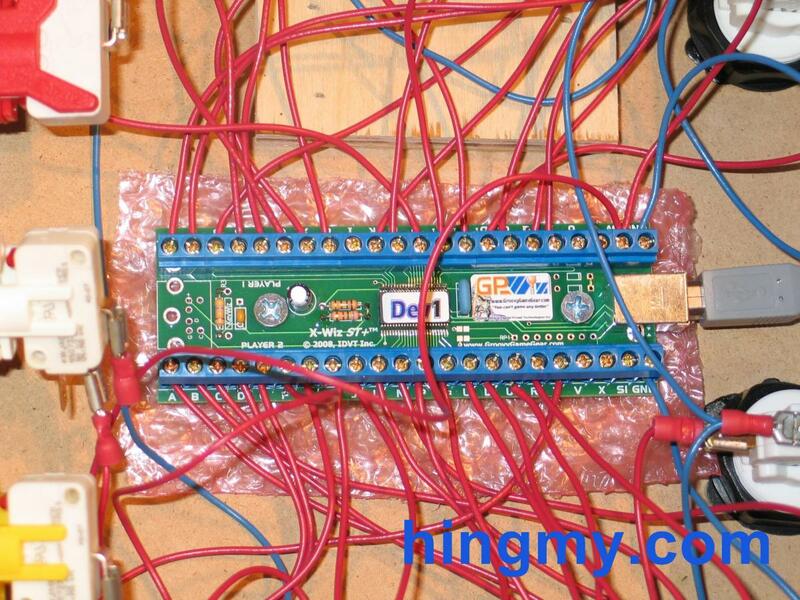 A ground and a switch wire must be connected. Instead of the panel controller, the controller board is the motherboard of your computer. Located the header on the motherboard that connects to the power switch. It will have two leads. Connect them directly to the button you want to use as the power switch.